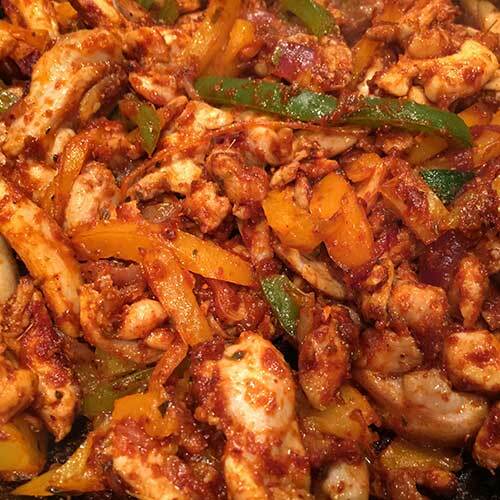 All of the aromas of real authentic Mexican food in the perfect blend ready to tantalise your taste buds coated all over your choice of filling. 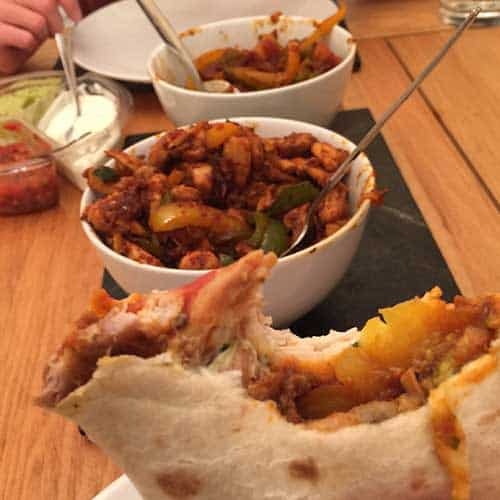 Whether your favourite fajita contains chicken, beef, prawns or vegetables! 100% Natural ingredients so there’s no surprises and no nasties. Enjoy all these flavours that shout out Mexican food at its finest. 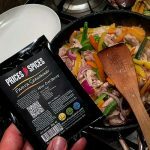 Quick, easy and affordable good quality food. 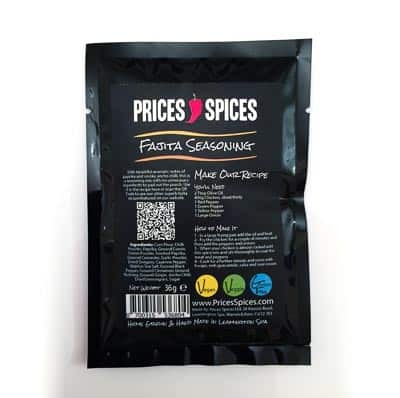 Using this Fajita Seasoning mix will show you how good the rest of our range is. 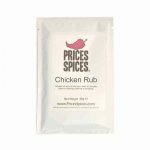 We only make and sell what we believe is the best flavour and quality combined together our way. 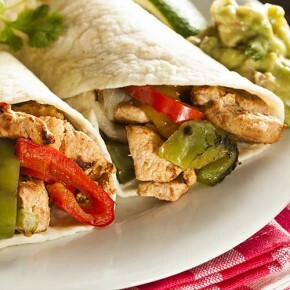 The intention is to provide a product that really shows you what good quality Fajita are all about. 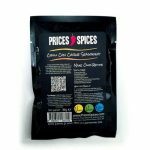 The prices of our spice mixes are similar to the large brands. However you’ll notice from the ingredients, we use only the best ingredients. There’s also no padding out the packet with starches or flours. Only the correct ratios are used to give your Fajita the real authentic taste you deserve. There’s plenty of variations you can use this blend in. If you’d like to show us how you use yours, then please submit a recipe. You’ll also receive Scoville Points by doing so! 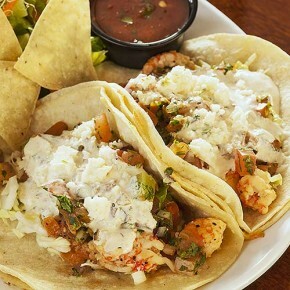 Succulent and juicy seafood with full on Mexican flavours. 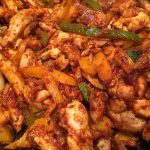 Simple but gorgeous, slightly smoky and moderately spiced fajitas. 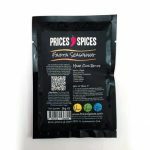 Corn Flour, Chilli Powder, Paprika, Ground Cumin, Onion Powder, Smoked Paprika, Ground Coriander, Garlic Powder, Dried Oregano, Cayenne Pepper, Maldon Sea Salt, Ground Black Pepper, Ground Cinnamon, Ground Nutmeg, Ground Ginger, Ancho Chilli, Dried Lemongrass, Sugar. 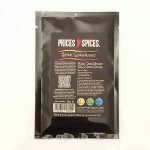 Great blend of spices and nicely hot nor like some of the bland supermarket ones, very tasty, will be buying more of these.